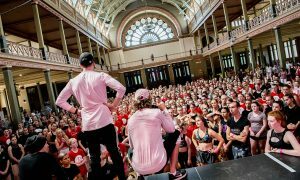 RAD Australia presented its inaugural Boys DANCE Summer School in January 2018. Dance Informa is thrilled to announce the return of the Royal Academy of Dance (RAD) Australia Scholarship Contest for the Boys DANCE Summer School! Last year’s offering was such a success we decided to bring it back. 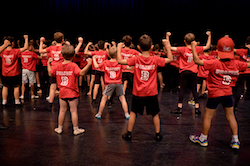 Male dancers aged 7 or older are invited to enter to win free tuition for Boys DANCE 19 on January 4 and 5, 2019, in Adelaide! Wondering what Boys DANCE 19 is exactly? It’s a mass gathering of boys from all backgrounds, locations and styles with one thing in common – a shared love of dance! It’s the return of a two-day, boys-only summer workshop in Adelaide launched as part of the Project B initiative. It welcomes students from absolute beginner to advanced to take classes and share the experience with family and friends during an end-of-school showcase. Boys DANCE 19 will be led by an all-male professional dance faculty, including RAD Australia Male Dance Ambassador Matthew Lawrence. Three lucky Dance Informa readers now have the chance to attend Boys DANCE 19 in January. To enter to win, email info@danceinforma.com with the answer to this question: What keeps you dancing? Only male dancers aged 7 or older should enter. Title your email entry “Boys DANCE 19 Giveaway” and include your full name, your date of birth, your mailing address and your contact number. This competition opens Saturday, December 1, 2018, and closes Friday, December 14, 2018. 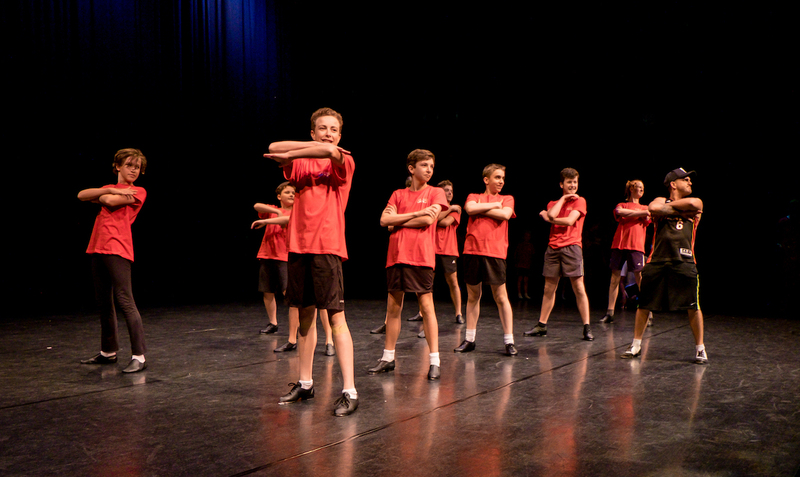 The inaugural Boys DANCE in January attracted 60 young dancers from around the country and from places as far afield as Malaysia and New Zealand. Boys DANCE 18 gave beginners and advanced male dancers an opportunity to spend the weekend with a group of like-minded individuals who share a passion for dance in a variety of genres. Over the course of two days, those 60 individuals became a tribe of enthusiastic, jubilant, warriors of dance. With no fear of peer pressure or outside acceptance, the boys embraced the ballet, contemporary, tap and hip-hop classes with gusto. A rousing cheer from parents and supporters during their showcase on the final day cemented the value of bringing boys together in this way. Being inspired by one another and a world-class dance faculty, safe from negativity and judgement, which often haunts their school yard and sometimes even the home, the boys showed the talent and dedication which exists in our young Australian male dance community. Registration is open for all boys from age 7 and up with any experience or none at all to take part in what is sure to be another uplifting and fun-filled weekend of dance. For more information or to book, simply head to www.rad.org.au/events.